Netbooks- What the F*#K Man? I don’t mind PCs and Windows 7 is fine but I have a Mac and an HP netbook and the differences are f#@king huge. 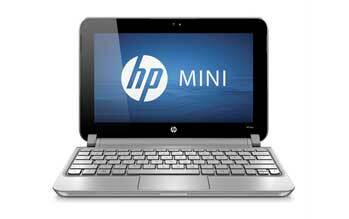 I know they are in completely different price ranges but the shortcomings on the HP netbook are ridiculous. Windows 7 is decently functional but can’t compare to Mac OSX of course. The Macbook Pro is sturdy, well designed, and safe. The Netbook is quite the opposite. While the mac body is made from no more than maybe four pieces of metal the netbook is made with at least 10. The mac had survived without wear and tear for over a year. Within a month of me receiving the netbook the screen started popping out (literally). The whole thing was built out of parts that seemed to work as well as cheap lego knockoffs. The pieces were cracked and dirty and the pieces that didn’t fall off needed to be snapped into place every day. Finally I just gave up and I am currently working on drafting a letter to HP but at least I have my mac! How has your experience with netbooks been? Poke Vs Snapchat- Which is Better?